For more than 14 years, the Opportunity rover crawled up and down craters, snapped pictures of a strange landscape and revealed surprising glimpses into the distant past of Mars. On Wednesday, NASA announced that Opportunity, the longest-lived robot ever sent from Earth to the surface of another planet, is dead. Opportunity is a testament to the hard work and quality that space missions are designed to produce. The rover's goal was to operate for 90 days on the Red Planet. It tracked across the Martian surface for 14 years and 293 days, 55 times longer than its planned lifetime. 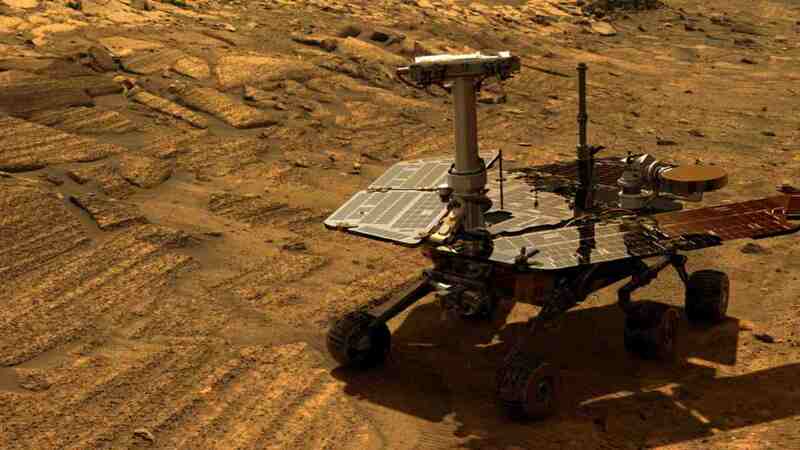 It was also the first rover to complete a marathon in space, and in total, Opportunity clocked up 45.16 kilometers (28.06 miles) of distance during its many years of operation. Opportunity’s mission was successful from the get-go. Within three months of landing, the rover had already uncovered evidence that liquid water once drenched the surface of Mars. In its almost 14 years of service, it discovered extra-Martian meteorites, explored several new sites like the Endeavour crater in detail, and analyzed the planet's rock and soil. But it was more than just a remote-control geologist. It performed, with the Mars Global Surveyor orbiter, the first atmospheric temperature profile of Mars. It also made important astronomical observations, for example, it recorded the transits of Phobos and Deimos (the Martian moons) across the Sun. The rover's long life brought it to unique geological features. It climbed Cape Tribulation, reaching its summit 135 meters (443 feet) high, Opportunity's greatest ever ascent. On the way down, it also experienced its steepest slope, at 32 degrees, which allowed the sand that had accumulated on its solar panels to slide off. In its many sols (Martian days), Opportunity had the chance to collect incredible panoramas of the different places it explored. It even reached the location where its heat shield once impacted Mars. Among the most suggestive observations made by Opportunity, the time-lapse of the blue Sun setting over the Martian plains remains a breathtaking and truly alien snapshot of the Red Planet. The footage can be seen in the video below. Area around the heat shield, including the resulting impact crater. Opportunity was on the opposite side of the planet from its twin rover Spirit, another mission that outperformed expectations. Spirit too was supposed to operate for just 90 days and lasted until 2010, when it got stuck in soft soil. For almost two months, it acted as a stationary science platform but NASA then lost contact with it. Attempts were made to reestablish contact until May 2011, when the mission was declared complete. And now it is Opportunity’s turn. As NASA didn't hear back from the rover when they last attempted to contact it, the mission is now officially complete. And what a mission it has been. An important chapter in the history of Mars exploration is now over. Mars is a little quieter today. 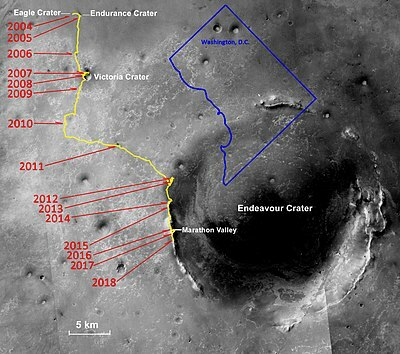 Curiosity and InSight are carrying on the legacy left by Opportunity and they will be joined in the next few years by new NASA and European missions. It goes without saying that the trailblazing work conducted by both Spirit and Opportunity has been key to solving some of the mysteries of the Red Planet.